An all-in-one brow starter kit to easily shape, fill, and set your brows. Create perfect, natural-looking brows with the Soft & Natural Brows Kit. It’s loaded with everything you need to shape, fill, and set brows. It includes the Goof Proof Brow Pencil, which features a custom teardrop tip that lets you softly glide on color for easy filling and shaping. The High Brow Highlight & Lift Pencil instantly brightens your arches, while 24-HR Brow Setter setting gel locks brow hairs in place, leaving you perfectly polished all day long. 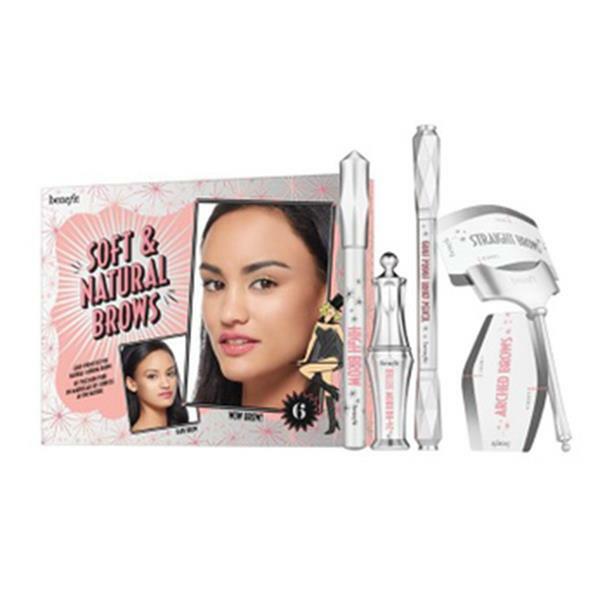 The set includes Benefit’s signature Tips & Tricks and special eyebrow stencils so you can create expert, personalized brow shape in an instant.